We work hard to provide the very best education for your students. Families work hard to support students. Students do everything we ask with grit and determination. 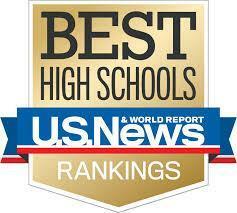 Because we work together we stand out as one of the very best high schools anywhere! How did we do compared to San Diego Unified high schools? Math: Outperformed 14 out of 16 SDUSD high schools! English: Outperformed 15 out of 16 SDUSD high schools! How did we do compared to all high schools in the state of California? Math: Top 7% in California! English: Top 4% in California! Scores are based on 2018 CAASPP standard met and exceed scores as reported by the CDE.